Do you dream of catching the rays on your private terrace or enjoying stunning city views from your balcony as the sun sets? 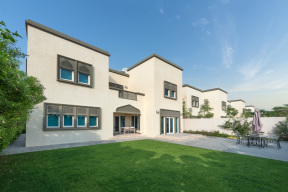 If you’re on the lookout for villas for rent in Dubai, Espace Real Estate has got you covered. Dubai is an increasingly popular destination for both holidaymakers and those travelling for work, and the rental market is booming. With scintillating city views, modern interiors, and a chance to enjoy the high life, it’s not hard to see why more and more people are on the hunt for a villa for rent in Dubai. Dubai is known for its opulence, and it boasts a stunning array of rental properties. We have a vast collection of beautiful homes on offer, from chic bungalows to sprawling family homes with private pools. 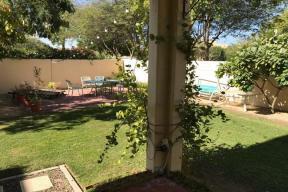 At Espace Real Estate, we recognise that all our clients have unique needs and preferences, and we conduct property searches based on your wishlist. If you’re looking for villas to rent in Dubai, we want to ensure that you’ll fall head over heels with the properties we show you. We use in-depth local knowledge and experience of the market to source the best properties in the most sought-after areas, and we offer something for everyone. Our selection of rental homes includes 6-bedroom family villas in gated communities, 5-bedroom detached homes with pools in exclusive developments, and stylish three and 4-bedroom modern bungalows with city views. 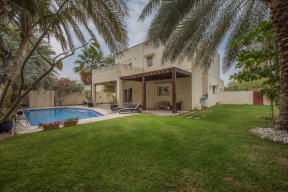 The rental market is buoyant, and often, a Dubai villa for rent won’t hang around for long. At Espace Real Estate, we recognise the importance of moving quickly, and if you find a property that gives you butterflies or ticks every box on your list, we’ll go the extra mile to provide you with the best chance of securing it. We take the hassle out of finding a rental home, and we make use of our extensive contact list to hear about exciting openings and new developments first. 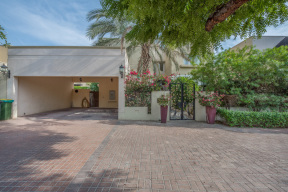 If you’re on a mission to find the best villas for rent in Dubai, why not give us a call today? We can talk through your needs and desires, discuss different areas and developments with you, and hopefully, arrange some viewings. 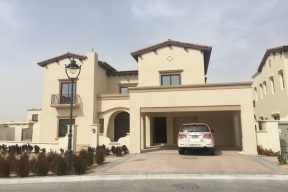 If you’ve found the dream Dubai villa in our listings, or you’re keen to find out more about any of our beautiful rental homes, don’t hesitate to get in touch. We look forward to hearing from you and helping you find a perfect new pad.